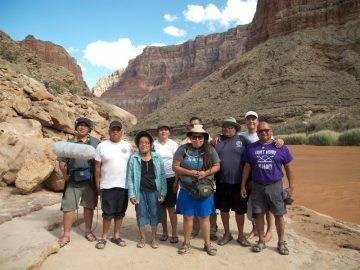 Longtime OARS guide Heather Solee may have gotten her start as a shuttle driver, but she quickly made her way behind the oars of her very own boat (her third trip ever was the Grand Canyon!). 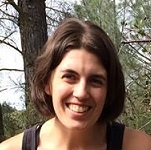 Now, nearly 11 years later, you’ll most likely find Heather in Idaho, rowing a dory named the Quartz Creek down the Salmon River. I get to work outside—row a boat, sleep on a boat, and live on a boat—all season. 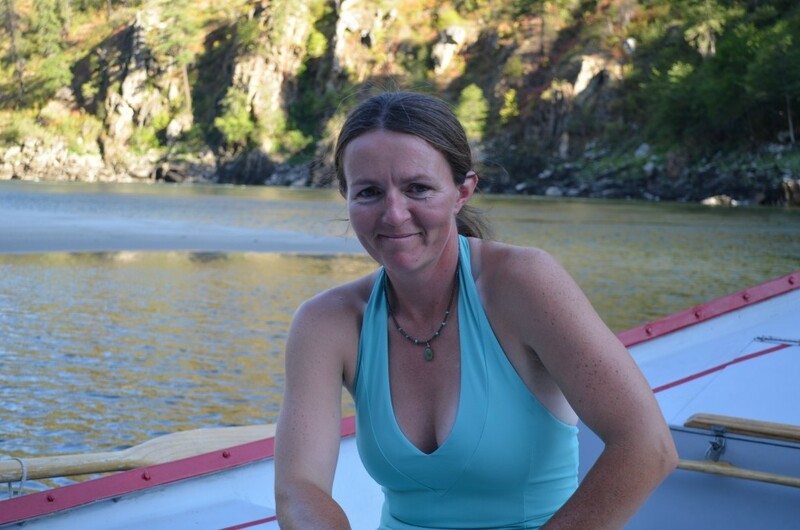 How do river guides stay in rowing shape in the off season? The secret is…we don’t. We actually show up for our first river trip and talk about how out of shape we’re going to be. But a lot of us are pretty active. I think to do this job you have to be healthy. You need to take care of your body. But ultimately, it’s not rowing you’re training for. It’s lifting five gallon buckets and moving tables and twisting and turning. 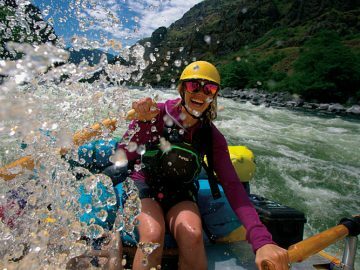 What do you think surprises people most about female river guides? Probably that we can row a boat, for one. That we can actually get it down river. I’ve definitely been on the beach before and there’s this big guy and he’s like, “Hey little lady, are you going to row me down river?” And sure enough I do. And I think that’s kind of a cool thing. What motivates you day in and day out on the river? I think the crew. You depend on each other. You’re really a team out here. And when you’re all helping each other out, it’s a really great trip, a really fun trip. And even if it’s challenging, you have your crew. Anything in particular you can’t live without when you’re living off of your boat? My floss. I love flossing. Have to have that. And I’ve actually gone far enough to get everyone on the trip to floss. Describe your perfect day on the river. I like to get up early and make coffee. My perfect day would be if everyone was up at that time and we could actually get on the water and do a really early float. I think that being on the water in the early morning is probably the most special time. It’s quiet. There are animals. Nobody else is out. Which river trip would you recommend for a girl’s getaway? The Main Salmon. 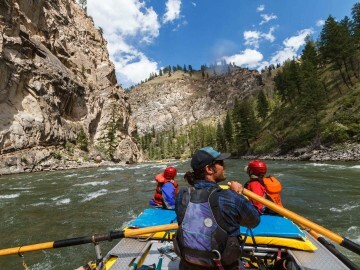 It’s a river that offers a lot in terms of rapids, hikes, beautiful lodges, and it’s 6 days long. 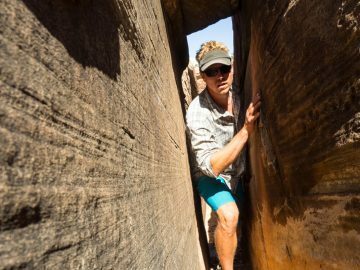 If you do a four-day trip, it’s a little too short. Six days is pretty complete. And there are big sandy beaches to do yoga on. It just offers everything I think a woman wants. The Main Salmon River is in Idaho. 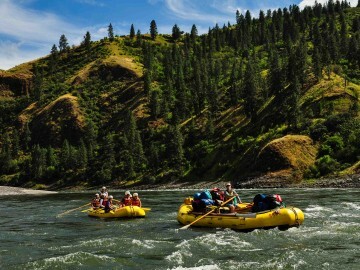 What makes Idaho such a great rafting destination? 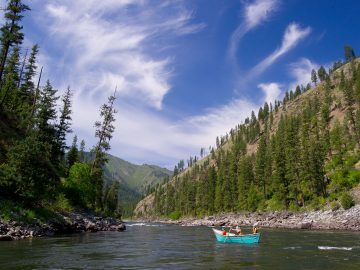 I think the biggest and most obvious reason Idaho is such a great rafting destination is the Salmon River—almost 300 miles of free-flowing river. It’s not common in the States anymore. Everything has dams behind it. It’s true wilderness. The river is true to its essence. When you flow down there, it’s natural. Man hasn’t messed with it.